"A great treat for backyard entertaining! Serve warm with ice cream or chill and serve with whipped cream." 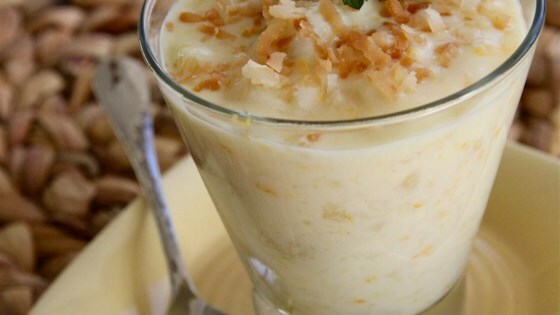 Whisk coconut milk, milk, sugar, coconut, cornstarch, egg, and orange zest together in a saucepan over medium heat; add banana slices, stirring continuously until pudding is thick, about 20 minutes. Remove saucepan from heat and stir butter, rum, and vanilla extract into pudding; fold in pineapple.